She's Fantastic: Aquaman Movie Multiverse - MERA! Aquaman Movie Multiverse - MERA! I'm pretty excited about all the comic book movies coming out in the next few 6-8 months. Aquaman, Venom, Spider-Man: Into the Spider-Verse, and X-Men: Dark Phoenix. None of these are top-tier movie choices for me, but there is something about each one that has me excited. 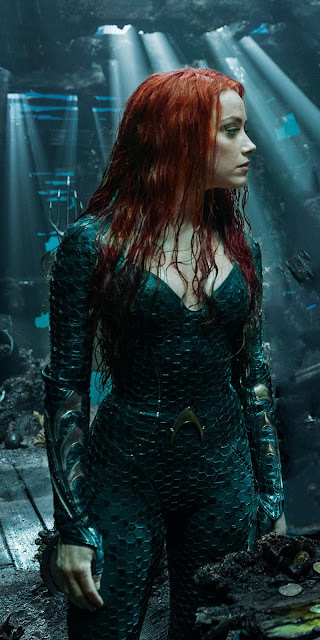 For Aquaman, I'm obsessed with the aquatic monsters like the Brine King and the Trench Warriors, but I can't deny how excited I am to see Mera on the big screen again. I barely remember her from Justice League (I don't remember much from that movie honestly). But the character is so classic and underused that she deserves a more memorable role. I'm shocked that Mattel gave us a brand new figure to be more accurate to her new look, when characters like Wonder Woman were just getting minor repaints. And honestly, the Justice League figure looked great and would have really benefited from a repainted release (she had a lackluster face). But I'm not complaining, just observing. Let's check out the Aquaman movie Mera below! So my Mera has a pretty significant defect. I didn't notice it until I was editing these photos, but her hair and crown is shifted to the left. Other versions I see on eBay are centered properly. But I think this exposes an interesting clue to the manufacturing process. My guess is that the entire hair piece is heated and melted over the head. Because there are no gaps and it is perfectly formed to her skull. 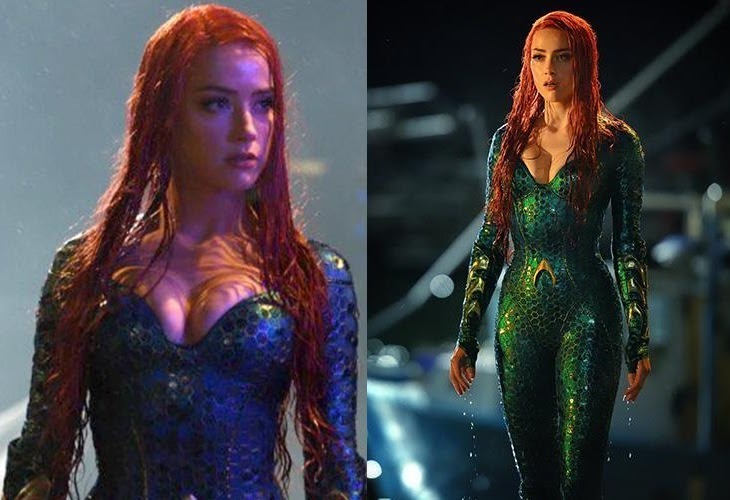 Mera comes with a set of water-powered hands. These are the same as the one that came with the Justice League Mera. She also comes with the same spear as the previous Mera. However, this version is thinner and bendier. Mera come with the Arms of the Trench Warrior Collect-n-Connect figure. Here is Mera with her Amazon-Exclusive version from the Justice League movie (I repainted her eyes). And with the Brightest Day Mera from 2011.